I’ve dusted off this old hobby blog of mine, I’ve swept through it with a feather duster, cleared the cobwebs away and we are open for business again, at least for a few months…. Let’s kick things off with a video…. In recent weeks my training programme has begun because yes indeed, this Summer I shall be competing in the “Race to the Stones” – a 100km ultra marathon event. I am going to be running it all in one go. So I’ve opened this blog back up to chart my journey, my training schedule, my psychological approach, my challenges and also to walk my talk a little bit. Up until the turn of the year, I had not run much further than a 5km since I came 12th across the line in the 2015 New Forest marathon. What’s more, my previous ultra running challenge resulted in injury for me. As a result, I took some serious time out away from running. That is I took up weight lifting and got really into it. I ate more, massively changed my shape, and put on a lot of weight, in a good way. I missed running. I missed the time alone running, I missed some of what it gave me and decided to return. Running in a much heavier, thicker frame is tough. Although I feel strong powering up hills, my conditioning and endurance have been lost and are going to take some time to rediscover. a) The Principles Of Goal Setting For Runners. 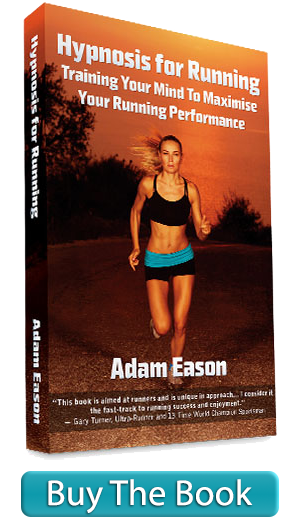 c) Creating Your Own Goal Setting System To Advance Your Running. My goal is to run the event at a steady pace throughout – no bounding off, clocking 6 minute miles only to collapse at mile 20. I am not 100% sure of my goal finish time just yet as I am feeling my body as I get some intervals and long runs under my belt, but if I clocked a 10km every hour, it’d be a 10 hour finish, and if I aimed to run 10 minute miles throughout, it’d be a 10.5 hour finish. Initially and right now, I am thinking in terms of a 12-14 hour finish time and that is the band I am starting in. If I finish in that sort of time frame, I’ll be very happy indeed, all things considered. Other goals I have are to do my best to remain injury and illness free as much as possible – the entire UK seems to be in the midst of a flu epidemic right now and I have just about managed to avoid it, though have had a sniffle or two that the kids have brought home from school. The legs feel ok following these early runs, so I think old injuries are not rearing their heads. Other goals include reducing my weight rapidly enough for it to effect my pace and endurance, but not so fast that it impairs my strength or makes me too tired to train. My shorter term goals are laid out in my training schedule – goals for my runs, goals for my cross training – all things I will be writing about here in coming weeks. I shall only be running 3-4 times a week. Mainly because I need good recovery time after the harder, longer runs and also because my cross training approach is going to incorporate a lot of strength training, so I’ll still have my hand in and be drawing upon what I’ve earned in the last 18 months of weight lifting. I’ve got lots to share, and will be doing that here. Today is just about getting the ball rolling on the hypnosis for running blog again, and although things are tough right now as those rusty cogs get turning (in so many ways!) it feels good to be back.